Felisa Cabrera, 102 years, went to be with our Lord on Saturday, September 1, 2018. She is predeceased in death by her husband Rigoberto Sandoval, sons Juan, Carlos and Adolfo Sandoval and sisters Elena and Anastacia Sandoval. Felisa is survived by sons: Hector and Francisco Sandoval, daughter Bernarda D. Gonzales, brothers: Sylvener, Rejino, Pilar, Jose and Juan Sandoval, more than 30 grandchildren, 50 great grandchildren and many great-great grandchildren. Her life was long, well lived and spent caring for her vast family and in prayer. 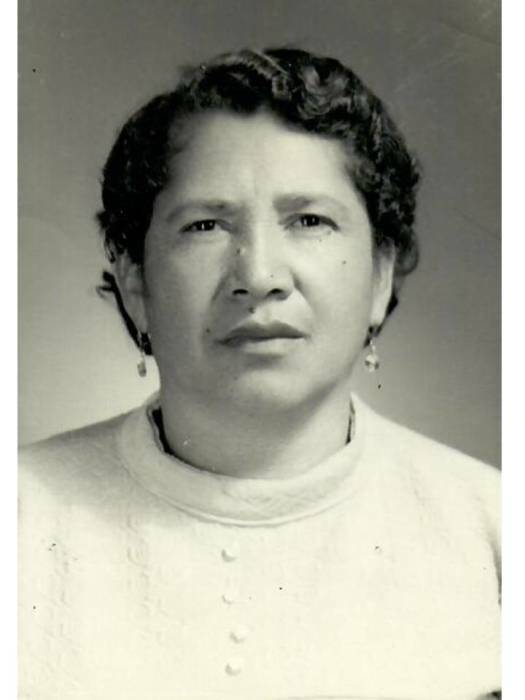 She spent her last years in Albuquerque to be close to her daughter and spent many years in Los Angeles, California and her birthplace of Palencia, Guatemala. She will be greatly missed by her family. Felisa's Life Celebration will begin with a Visitation on Monday, September 10, 2018 at 9:00 am at Salazar Funeral Homes and Crematory located at 400 Third St. SW 87102, Rosary will will follow at 9:30 a.m. and Service will begin at 10:00 a.m. Internment will be at Mt. Calvary following services. Please leave a kind word for her family on her tribute wall.